All our themes are coded with the highest standard possible and come with tons of features easy to setup. Our themes are easy to setup and are updated frequently to improve them by adding new features following your suggestions. We provide fast email support to all our customers through our support ticket system. You will get a reply within 24 hours. 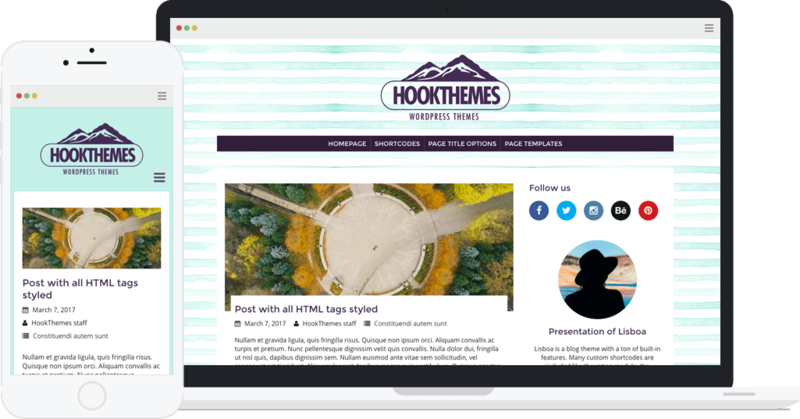 HookThemes builds premium WordPress themes with a focus on blogs and publishing. Our themes offer tons of features and are simple to use. Our main goal is to make it easy to put your content on the Web.